As our earliest ancestors migrated out of Africa, they encountered whole new floras. By sampling these, they found plants that appeared to (and sometimes did) heal wounds, cure maladies, and ease troubled minds. This process of discovery continues today, as multinational pharmaceutical companies bioprospect in the globe's remaining wild places for the next tamoxifen or digitalis. Gardener and botanist David Stuart tells the fascinating story of botanical medicine, revealing more than soothing balms and heroic cures. Many medicinal plants have a dark side to balance the light, and most of the really powerful and effective plants are double-edged. They can heal or kill, calm or enslave us, lift our depression or summon gods and monsters. Often the difference between these polar effects is the result of a tiny change in dosage. Stuart relates astonishing stories of how the herbal materia medica of healing and killing plants has sparked wars, helped establish intercontinental trade routes, and seeded fortunes. As plant species traveled the globe, their medicinal uses changed across miles and through centuries. Plants once believed to be cure-alls are now considered too dangerous for use. Others once so valuable that they sowed the wealth of empires, are merely spices on the kitchen shelf. Yew, a favorite Roman poison, is now a cancer cure; rhubarb, once thought to cure syphilis, is now a popular pie filling. David Stuart recounts engrossing human stories too, not only of the scientists, explorers, doctors, and apothecaries who gathered, named, and prescribed these plants but also of the shamans, magicians, and quacks who claimed to possess the ultimate herbal aphrodisiac or elixir. 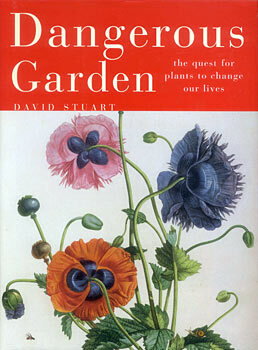 David Stuart, a botanist, has been a columnist for the London Sunday Times and also a nurseryman. He is the author of a number of books, including The Plants that Shaped our Gardens (Harvard) and The Garden Triumphant: A Victorian Legacy.